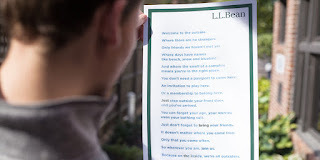 To dramatize its new “Be an Outsider” theme, outdoorsy retailer L.L Bean used a traditional full-page ad in The New York Times — but with an unconventional twist that turned a typically flat advertising channel into an experience. 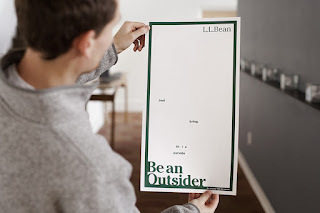 The page appeared to be blank, except for the “Be an Outsider” tagline and a cryptic call to action: “Just bring this outside. No, seriously. Take this outside.” When the reader followed directions, the full new L.L. Bean manifesto appeared, printed in photochromatic ink, visible only when exposed to ultraviolet light. By literally turning insiders into outsiders experiencing the great outdoors, this clever use of print beautifully fulfills L.L. Bean’s brand promise.